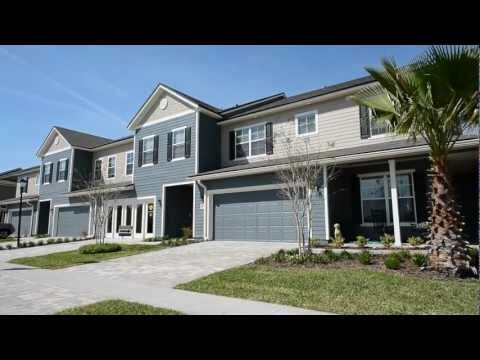 Looking for a new home community in St. Johns County? Heritage Oaks by KB Homes could be the quaint community you're searching for! With only 97 homesites, Heritage Oaks is a quiet and exclusive community with a lot to offer. You'll have 13 different one and two story floor plans to choose from that range in size from 1,832 to 3,052 square feet, with 3-6 bedrooms, and 2-3 car garages. Specific floor plan details include ENERGY STAR® qualified homes, open flex room, dedicated laundry room, and a lot more! Heritage Oaks by KB Homes has benefits that appeal to everyone. Residents will be able to enjoy community amenities such as a new community pool and a lot of green spaces that feature mature oak trees. Families with children will appreciate living in the highly ranked St. Johns County School District; as well as being within walking distance to the Liberty Pines Academy - which is the top ranked school in Florida for K-8 grades. Just minutes from I-95 and Racetrack Road, commuters will have an easy time getting to and from work. Heritage Oaks homes begin in the mid $200s, with no CDD fees. I am interested in buying a home in the Heritage Oaks community.
] He assisted us in every part of the process, helping us understand what the steps were, answering questions, and informing us of things we never knew to even think of. Erin has an extensive network of companies he's worked with and provided valuable advice so that we walked away with the best deal imaginable ... far surpassing our own expectations."